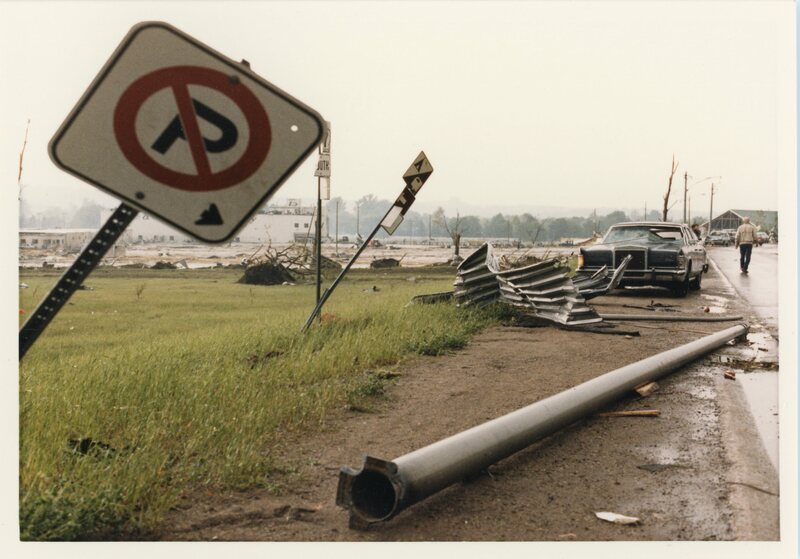 Inventory of damage caused by the tornado on Essa Road near Fairview Road and Highway 400 (20). Home/Inventory of damage caused by the tornado on Essa Road near Fairview Road and Highway 400 (20). Tags: Damage, Debris, Essa Road, Fairview Road, Highway 400, Tornado.